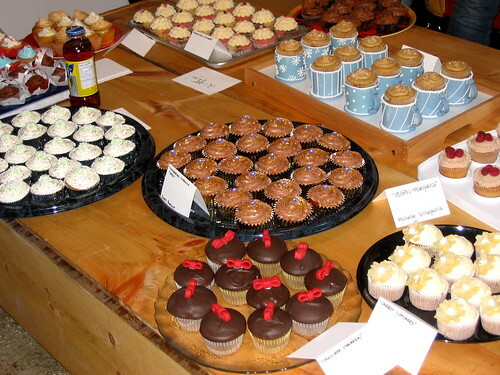 Picture almost 400 sugar fiends crashing a party for 100: cupcake chaos! 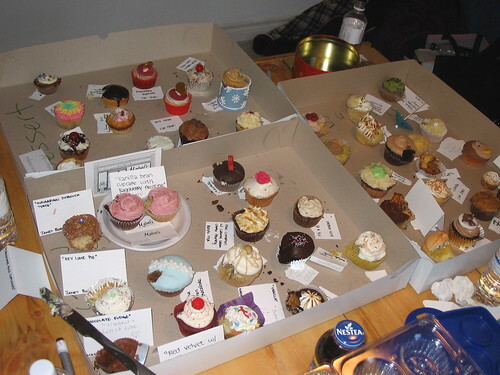 This terrific video by Suresh will show you exactly what it was like on the front lines of Cupcake Camp Toronto. 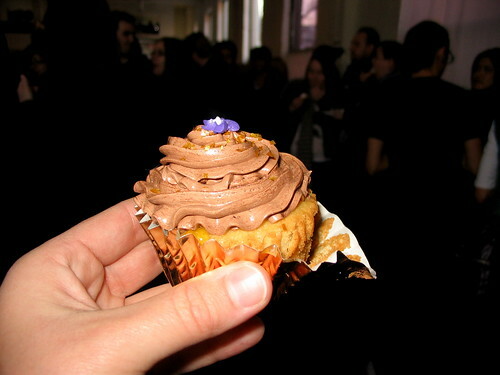 As you can see, every cupcake presented to the crowd was snatched up within fractions of a second. You'd think none of us had eaten for days. 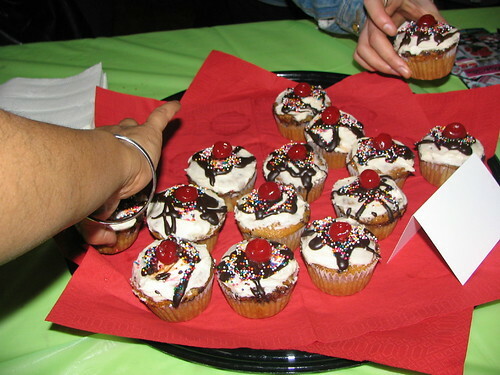 I was able to grab a total of three cupcakes during the event: Hungarian Doboush torte, lemon meringue and pina colada. I also had a bite of the carrot and the maple pecan. My favourite was the pina colada, perhaps because I'm still thinking fondly of my vacation. 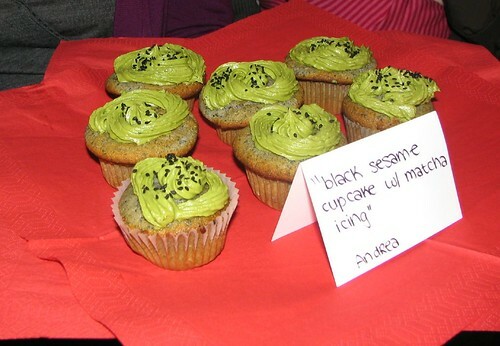 I thought it would be fun to participate so I made black sesame cupcakes, again. 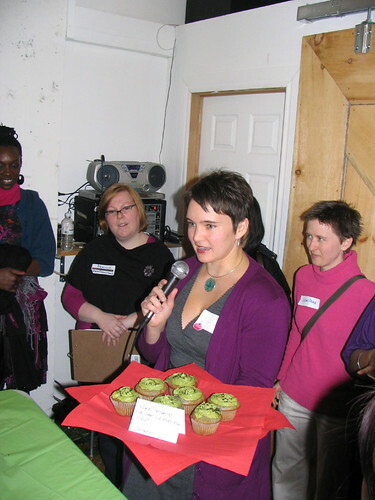 When I arrived at Cupcake Camp and I got a look at the other goodies, I realized that most of the other bakers were professionals. Yikes. I'm so amateur, I even had insufficient green tea icing for my measly 16 cuppies. Pro or not, each baker got to say a few words before we were mobbed by the starving masses. I'm not going to lie: it was scary to be lunged at like that. My heart was racing for some time afterwards. Besides the crush of the crowd and the low cupcake-to-person ratio, I enjoyed the event. Perhaps a different distribution scheme would work better for next time but the cupcakes themselves couldn't be improved upon! Congratulations to the organizers! Update: Ooooh my gosh, you guys! The ladies from the Food Network thought my cupcakes had the best flavor combination! It's all thanks to a great recipe and my unending romance with black sesame. Kurogoma, I love you still. As the biggest self-professed cupcake fan in history, I'm so upset I wasn't in town for this, but I'm really glad it went well. Thanks for the plug Andrea!